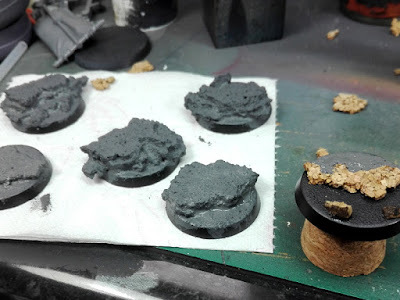 I started to build the bases. As customer requested easy bases, I build a basic terrain with different flats using a sheet of cork. Then I texturized it with a Citadel's texture paint (Astrogranite, but you can find similar or better products cheaper in other brands). Later, I painted them with a dry brush of a lighter grey and fixed the marines into the bases. 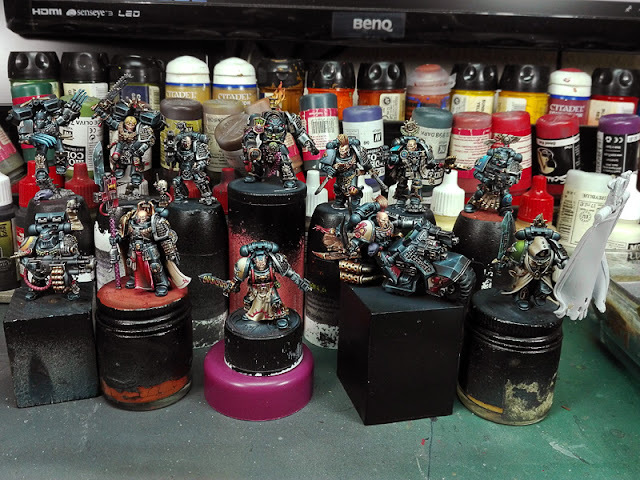 I filled the earth with a mixture of pigments and sealed them slowly adding a thinner coat with the airbrush. Finally, I glued some grass and killed a bit the artificial color of the grass with airbrush glazes of brown. I spent 3 days working on the banner. Customer provided me the design, so it should be easy, just copy that... but he didn't like it (yeah, that happens sometimes), so The commision is stopped until he decides what to do now. 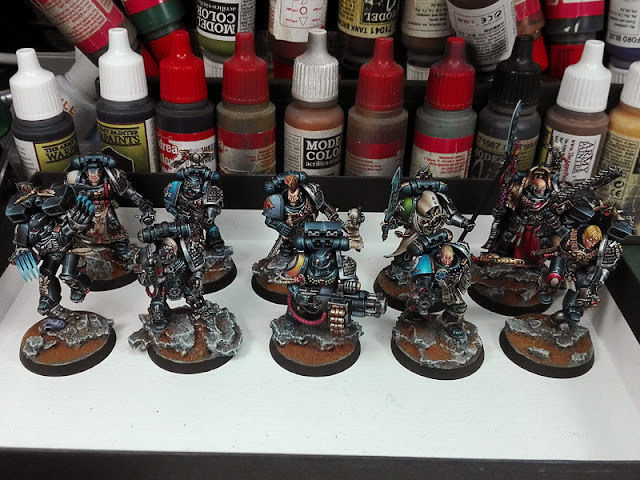 I've finished 10 of the 12 marines (just the standard bearer and the eagle of the bike remaining), and he also added now another one (captain Artemis) who I'm waiting to arrive from the store to add to this army, that grows up the commission to 853 points I think.